I tried this shoe as my other Ricky Bowling shoes were getting old. These are much lighter and softer than the previous version. Also the slide pad looks longer giving me a better slide. The shoes arrived fast. And they fit me perfectly and comfortable. Im happy. By Bob from Sac, Ca. Have trouble sliding. Actually stuck and tripped a couple of times. Dexter has upgraded from the Ricky III to the Ricky IVs. 0 of 8 customers found this answer helpful. Did you? Yes | No Did you find this answer helpful? Yes | No Thanks for your feedback! can exchange my shoe if they don't fit? Hi. 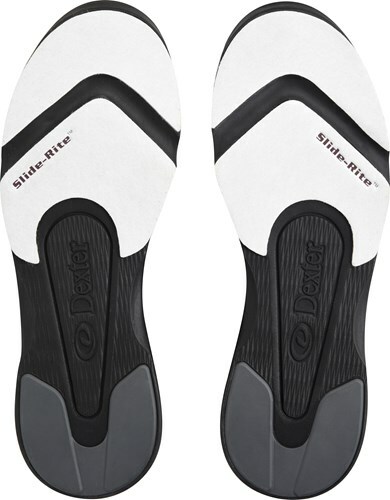 These will have universal sliding soles for both left or right handed bowlers. are these shoes sized correct so if i my shoe size is 11, then 11 will fit? The wide width for mens is an EE. The standard width for men is a D. If you need a EEE you would want to go with the Linds Mens Classic Black Wide Width shoes. These will have tie on laces. I cannot find a women's shoe that is wide enough for me. I wear 6&1/2-7 wide. How would that translate to this shoe? Does it come in extra wide? If not, is there a shoe that does? Hello! Our regular width for women's shoes is a B width, and the wide is a D width. On our men's shoes, the regular width is a D width, and the wide is a EE width. This being a men's wide shoe, it would have that EE width. If you knew what width you would need, that should help in finding a shoe that would fit correctly. The only shoes we offer that are wider than this are our Linds Men's wide shoes, which come in a EEE width. I hope this helps! Good Day! I'm looking to order your Ricky IV, wide width. But I don't see where to check these need to be for a right hand bowler? Hello Rick. 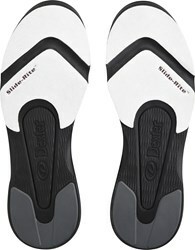 These will have universal soles for both right and left handed bowlers. Yes, these will have universal soles for both left and right handed bowlers. Will my 5E width feet fit into these shoes? Unfortunately, this shoe will be a EE width. 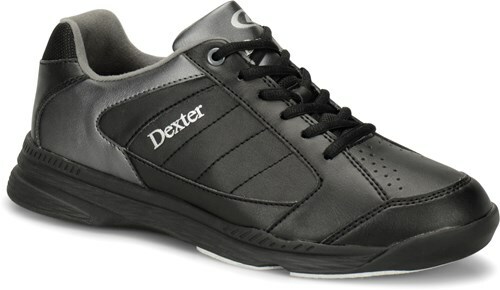 Due to the time it takes to produce the Dexter Mens Ricky IV Black/Alloy Wide Width ball it will ship in immediately. We cannot ship this ball outside the United States.